Recently I had the chance to dine at a restaurant that I've wanted to try for months, La Rondinella. 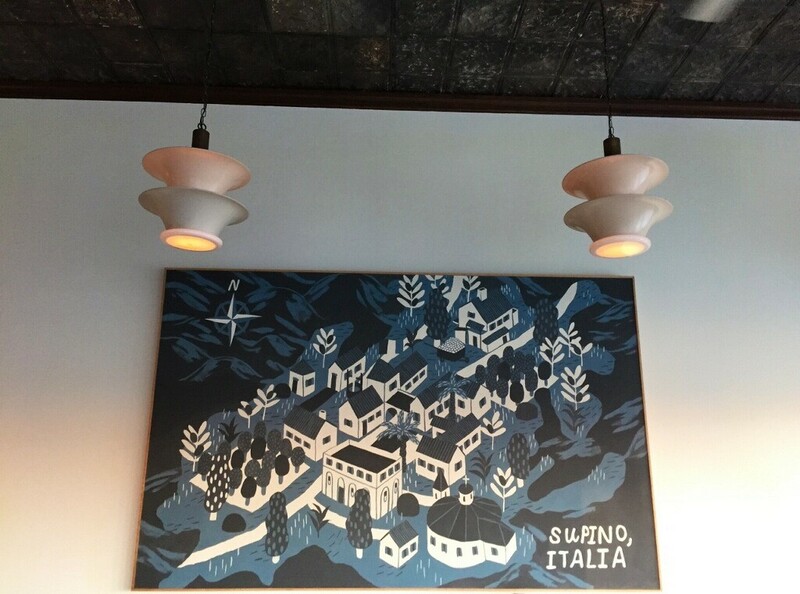 Owned by the same man that is behind the amazing Supino Pizzeria, this neighboring restaurant features an Italian menu with items inspired by Dave Mancini's family recipes and travels. The sleek design with classic accents gives the restaurant a more upscale feel while still hosting a pretty modest price point. 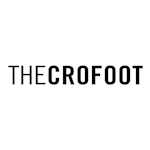 Let me start by saying that if you are expecting a dining experience like you would have at a chain like Olive Garden, or even other local Italian restaurants like Salvatore Scallopini, this isn't the place for you. You won't be served a basket of bread and loads of pasta. La Rondinella's menu features à la carte items, while still serving plentiful portions. 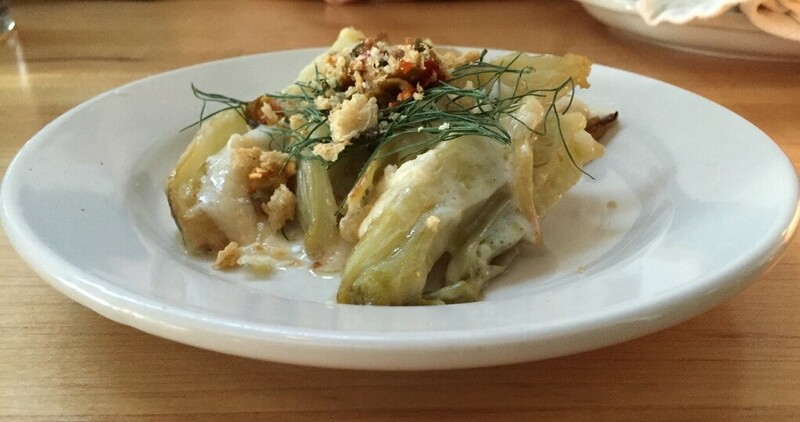 On this particular occasion, my dining mate and I started out with the Gratinato di Finocchio, a vegetarian dish featuring fennel and parmigiano reggiano. It was light, the flavors were delicious, and it was a great way to start our meal. For our main course, we both made the same choice, Gnocchi. On this particular evening the menu featured a couple of sea food selections, a chicken dish, and only a couple of pasta dishes. Since we both are used to the aforementioned take on Italian fare, we were in the mood for pasta. So our choices were Manicotti or Gnocchi, and who can pass up gnocchi? This dish was delicious! It wasn't covered in sauce like you often see. Instead, it was tossed in pesto and olive oil. 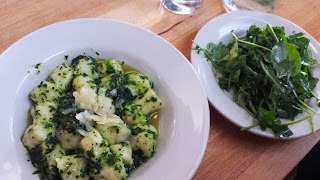 Since we both had big appetites and we wanted to try as much food as we could, we didn't stop at the Gnocchi. I opted for the side salad, while my friend ordered a side of Polenta. While he was just so so on the Polenta, I loved the salad! It looked like it was just a plate of greens, but it was dressed in the most delicious citrus dressing with sort of a salty bite. Very refreshing and tasty. Now is the time that I mention that this dinner took place a few weeks ago. Therefore the menu items that I have mentioned and made your mouth water over might not be available right now. 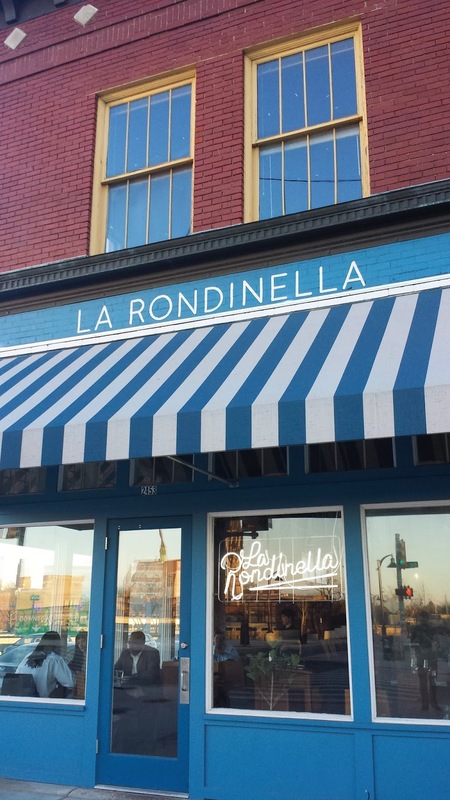 La Rondinella changes its menu seasonally. And, from what we gathered, some nights of the week the full menu may not be available. However, based on what we tried, all of their food is tasty and their cocktails are top notch! Unfortunately, between the drinks and the food, we were too full to try dessert. So, maybe next time around we'll have to start with a dessert or two and a cocktail and see if we have room for a meal! After all, we don't want to miss out on anything! 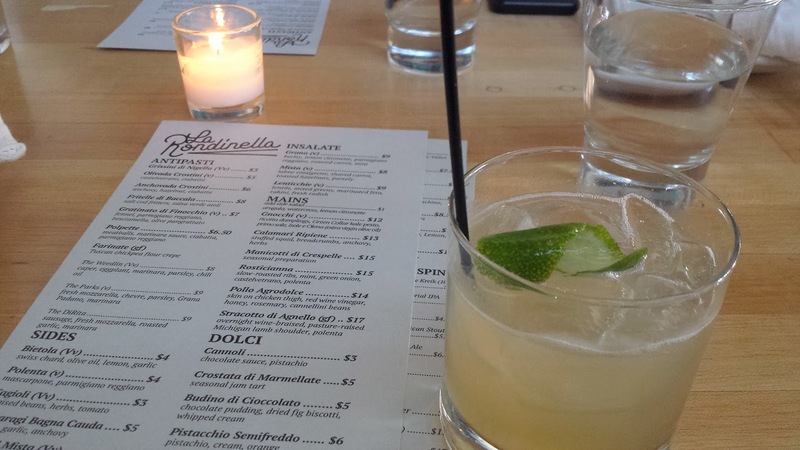 Overall, La Rondinella is definitely worth the try. It's a great place for a date night or just a meal with friends. They are open Tuesday thru Saturday for dinner from 5 p.m. until 10 p.m. They're also now open for happy hour from 4-6 p.m., Tuesday thru Friday. So whether you just stop in for a cocktail and grab a pizza at Supino or if you stay for a great meal, make sure you check this place out! 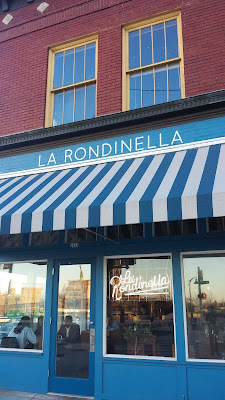 La Rondinella is located in Eastern Market at 2453 Russell Street. 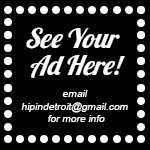 For more information and to check out their latest menu visit LaRondinellaDetroit.com. Get Ready to Hit the Road with Paws Buzz Go! 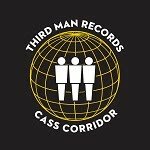 TODAY is Make Music Detroit Day! Four Week Assemble U Series Kicks Off Tonight! Win Tickets to See Chastity Belt in Detroit! It's Time for Pierogi Palooza!!! The Perfect Date: Fun, Free, and Beautiful!